I guess something is happening really soon from now — looking at all the rumors. We can expect an announcement within the next 2 months and expect availability within the next four months. It will be a Nikon D3 with full frame sensor — as I can’t believe that anyone with sense would introduce another frame format with 1.1 crop factor. Some rumors believe the camera will be good at low light level which translates to hi ISO values for the 18.7 million pixels. CNet News — High-end Nikon SLR rumors heat up — A summary of the different rumors. Full frame or almost full frame (1.1 crop factor); 18.7mpix by Sony, announcement in july or august with availability in august. Electronista — Nikon D3 announcing this month? — D3 instead of D3h and D3x; 1.0 or 1.1 crop factor and 18.7mpix. Nikon Kit — High-end Nikon SLR rumors heat up — The same 18.7 by Sony almost full frame; arrival around August. Electronica News — High-end Nikon SLR rumors heat up — Announcement in June, arrival in August. Engadget — Nikon D3 DSLR rumors running rampant — They say: “We’ve seen this before” and expect 18.7 nearly full frame. MacNN — Nikon D3 announcing this month? — 18.7mpix by Sony, 1 to 1.1 crop factor, available in August but no later then September. 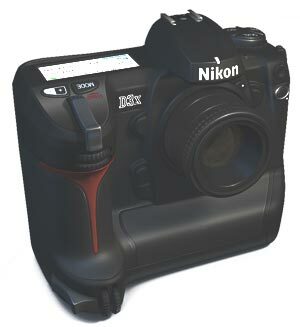 #!/usr/bin/geek — Nikon D3 Rumors Are Driving Me Mad — He buys one when it becomes availble but hopes it does not contain full frame of 20mpix sensor. I hope for him it has a 12mpix high speed crop mode instead.